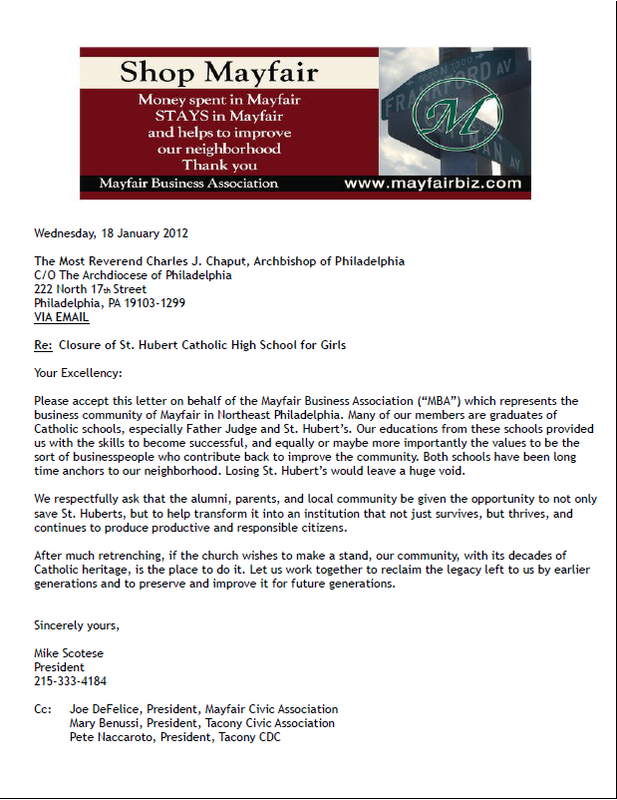 Please accept this letter on behalf of the Mayfair Business Association (“MBA”) which represents the business community of Mayfair in Northeast Philadelphia. Many of our members are graduates of Catholic schools, especially Father Judge and St. Hubert’s. Our educations from these schools provided us with the skills to become successful, and equally or maybe more importantly the values to be the sort of businesspeople who contribute back to improve the community. Both schools have been long time anchors to our neighborhood. Losing St. Hubert’s would leave a huge void. 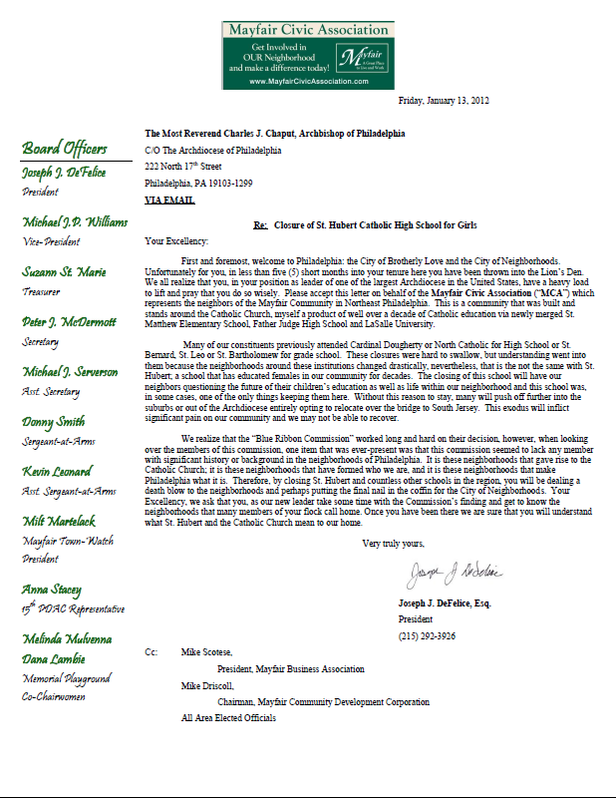 We respectfully ask that the alumni, parents, and local community be given the opportunity to not only save St. Huberts, but to help transform it into an institution that not just survives, but thrives, and continues to produce productive and responsible citizens. After much retrenching, if the church wishes to make a stand, our community, with its decades of Catholic heritage, is the place to do it. Let us work together to reclaim the legacy left to us by earlier generations and to preserve and improve it for future generations. Fw: Upcoming Mayfair Town Watch training and certification classes-CORRECTION!!!! Due to unforeseen circumstances beyond our control, February 2nd session will NOT take place. 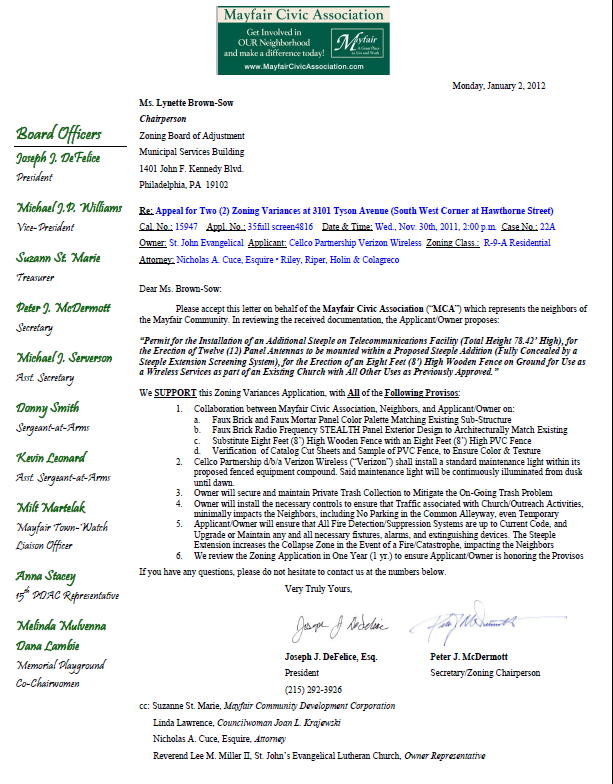 The second session will be held on February 9, 2012 from 6:30-8:30 at Tacony Baptist Church. Please e-mail us to confirm that you can attend. We will do our best to schedule another training and certification class in the near future. We are happy to announce that the Mayfair Town Watch training and certification classes have been scheduled!!! The first training session is set for February 2nd from 6:30 pm until 8:30 pm at the Perzel Center, 2990 St. Vincent St. The second session is set for February 9th from 6:30 pm till 8:30 pm at the Perzel Center (that location may be subject to change-we will e-mail you with an update). The number of seats is LIMITED so if you are serious about joining and willing and able to attend either session, e-mail us back with a confirmation. Again, please e-mail us back so we able to accommodate everyone. Thank you for willing to volunteer your time and effort to make Mayfair a better place for all of us!!!! Feel free to reach out to us with any questions or concerns! First and foremost, welcome to Philadelphia: the City of Brotherly Love and the City of Neighborhoods. Unfortunately for you, in less than five (5) short months into your tenure here you have been thrown into the Lion’s Den. We all realize that you, in your position as leader of one of the largest Archdiocese in the United States, have a heavy load to lift and pray that you do so wisely. 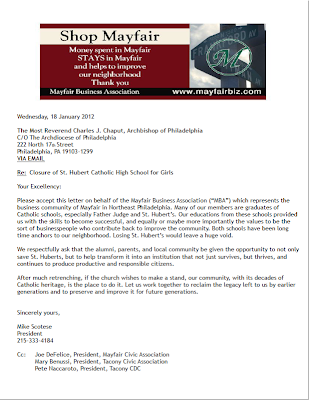 Please accept this letter on behalf of the Mayfair Civic Association (“MCA”) which represents the neighbors of the Mayfair Community in Northeast Philadelphia. This is a community that was built and stands around the Catholic Church, myself a product of well over a decade of Catholic education via newly merged St. Matthew Elementary School, Father Judge High School and LaSalle University. 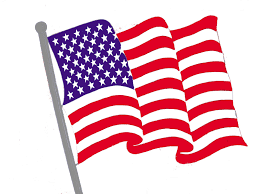 Many of our constituents previously attended Cardinal Dougherty or North Catholic for High School or St. Bernard, St. Leo or St. Bartholomew for grade school. These closures were hard to swallow, but understanding went into them because the neighborhoods around these institutions changed drastically, nevertheless, that is the not the same with St. Hubert; a school that has educated females in our community for decades. The closing of this school will have our neighbors questioning the future of their children’s education as well as life within our neighborhood and this school was, in some cases, one of the only things keeping them here. Without this reason to stay, many will push off further into the suburbs or out of the Archdiocese entirely opting to relocate over the bridge to South Jersey. This exodus will inflict significant pain on our community and we may not be able to recover. 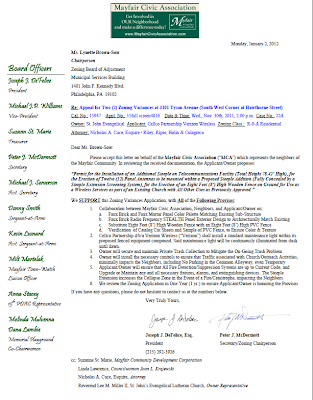 We realize that the “Blue Ribbon Commission” worked long and hard on their decision, however, when looking over the members of this commission, one item that was ever-present was that this commission seemed to lack any member with significant history or background in the neighborhoods of Philadelphia. 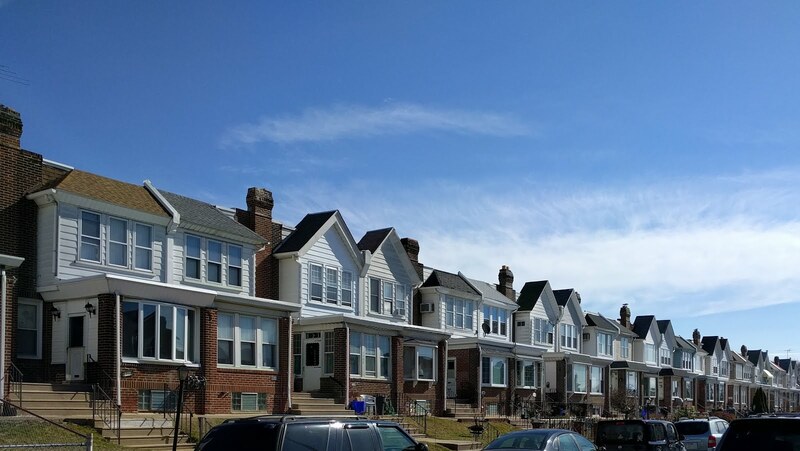 It is these neighborhoods that gave rise to the Catholic Church; it is these neighborhoods that have formed who we are, and it is these neighborhoods that make Philadelphia what it is. 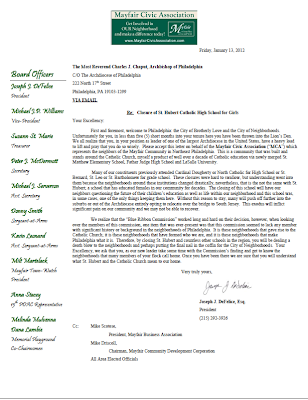 Therefore, by closing St. Hubert and countless other schools in the region, you will be dealing a death blow to the neighborhoods and perhaps putting the final nail in the coffin for the City of Neighborhoods. Your Excellency, we ask that you, as our new leader take some time with the Commission’s finding and get to know the neighborhoods that many members of your flock call home. Once you have been there we are sure that you will understand what St. Hubert and the Catholic Church mean to our home. 745PM ZONING RE HERTZ RENTAL CAR COTTMAN AND FRANKFORD AVES.